There’s only one answer: love. We love food – especially Spanish food. Sangria and chorizo, jamon and manchego run through our veins, in the same way Swiss people are half chocolate, half cheese, and Aussies are made up of Vegemite and Tim-Tams. We love people and we get a huge buzz out of helping our customers celebrate. Food is at the heart of human culture – it brings us together, it nourishes and delights us. 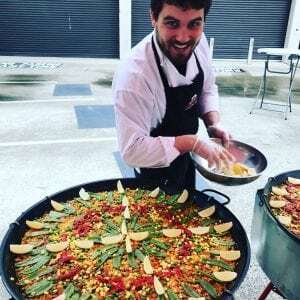 Gathering around a huge paella pan, smelling and watching and waiting for it to cook is traditionally Spanish but it’s an experience that translates into most cultures. After all, most kids have grown up watching their parents and grandparents preparing food. It goes right to the heart of family, and the spirit of hospitality. So what exactly do we do? 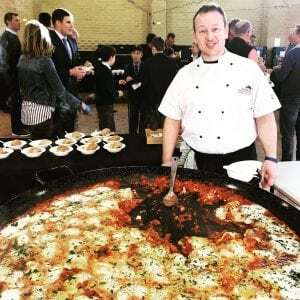 We do paella catering for groups of up to 1000 people. 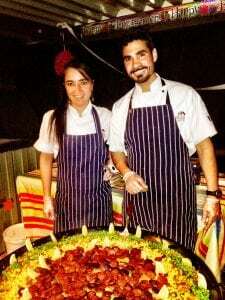 We make tapas, paellas, create Mediterranean buffets and desserts. We can set up in just about any location, indoor or outdoor, and we also offer a mobile bar, sangria bar, Flamenco dancers, solo guitarists and equipment hire. Check out our menus here. Why do we do what we do? We love cooking for people. 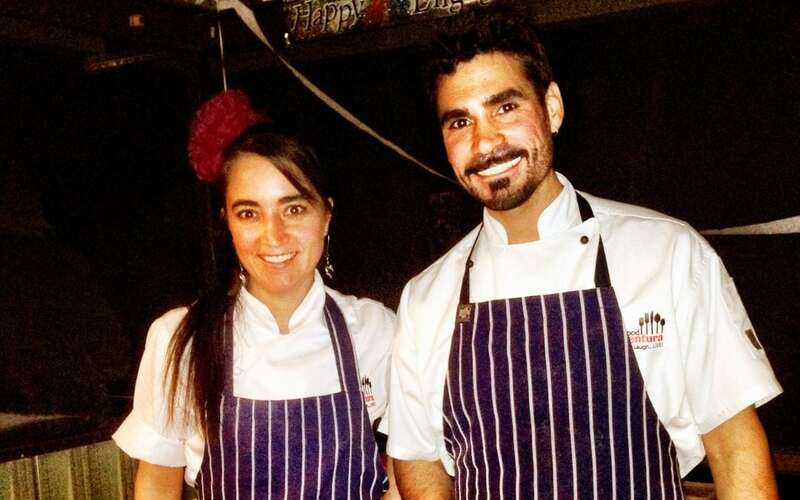 Get in touch if you would like us to cook for you!